So here’s what we know about Thursday’s press-only event at Apple’s Cupertino headquarters: The event starts at 10 a.m. PT and will focus on the forthcoming iPhone 4.0 update. The invitation was pretty clear about that. We also know that, whatever iPhone-related news Apple plans to unveil, Macworld’s Jason Snell and Dan Frakes will be in Cupertino to live blog the iPhone 4.0 preview. But apart from that? 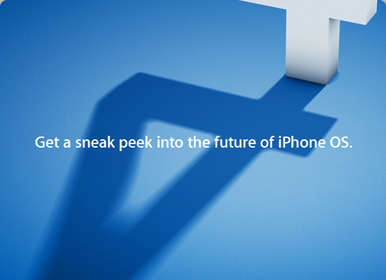 Your guess about Thursday’s iPhone 4.0 preview event is as good as mine. And therein lies the peril of trying to prognosticate pronouncements from a company that keeps its cards pretty close to the vest. What those features will be, of course, is up to Apple. But the analysts I spoke to on Wednesday seem to agree with Macworld’s wishlist, with third-party multitasking leading the requests. “I know why they didn’t do it in the first generation,” said Tim Bajarin, president of consulting firm Creative Strategies, adding that Apple felt allow apps to run in the background would consume battery life. But now with rival mobile operating systems featuring multitasking—most notably, Google’s Android OS—”it’s become a competitive issue,” Bajarin added. Even if full-fledged multitasking isn’t in the works for iPhone 4.0, Greengart said, Apple could introduce some modified form of the feature. “It may allow a limited number of applications to run in the background, or, more likely, allow specific processes to run in the background,” said Greengart, citing streaming music, GPS beaming, and messaging, as possible examples. Other changes to the iPhone OS that Greengart sees as a possibility for Thursday include social network integration—“another area where where Apple lags Palm, HTC, and Motorola,” he said—and notifications and alerts. “Apple has to have seen that the approach Palm and Google take to alerts is better than the modal method Apple uses every time you get a text message or even a phone call,” he added. Apple’s Thursday event comes less than a week after the iPad hit stores. But don’t look for the tablet to garner much attention during Apple’s presentation. True, the changes to the iPhone OS previewed Thursday may also affect the iPad, but it’s the phone experience that figures to be front and center during the event.